V.com weekend vote: How much do you move while you are playing? September 7, 2018, 2:05 PM · How much do you move when you play? When it comes to motion while playing the violin, there is a wide range among the great artists, from the relatively steady stance of the great Russian violinist David Oistrakh to the kinetics of American violinist Joshua Bell. And among pop artists, of course we have the dancing Lindsey Stirling and more. 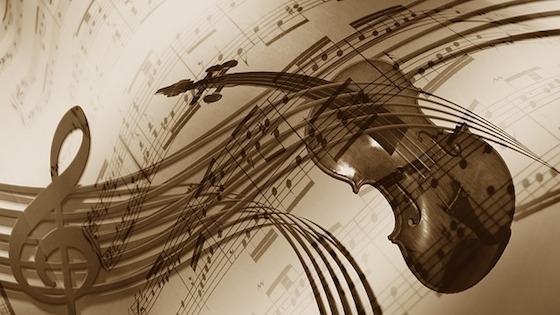 Motion is an inherent part of playing the violin -- certainly we must move our fingers and arms to create sound. Adding a little more motion can actually help promote more relaxed, natural playing, to a point. I've actually had students who have said, "I don't know how to move!" Certain motions such as a bit of swaying from side to side, some bending of the knees with bow changes, cuing motions, a nice sweep at the end of a piece -- these things can be taught. And then there are the more individual motions, which can get downright quirky and if done inexpertly, can cause "over-playing" -- crunching of the bow, etc. One funny story is about a student violinist who became so engrossed, moving about while playing for a master class, that by the time he was finished with the piece, he found himself with his back to the audience! But as I said, moving can work, when done right. What works for you? Do you employ a lot of motion when you play, or do you stand or sit relatively still? Is motion something that you had to learn, or want to learn? Or do you find yourself needing to reign things in? Please answer the vote and then share your thoughts in the comments. September 7, 2018 at 08:32 PM · This is shoulder-rest territory, as far as I am concerned. No shoulder rest, time to dance and move my instrument towards the sound! Shoulder rest, let me take advantage of a secure (piano-like) violin/viola and concentrate on my left hand and my bowing. September 7, 2018 at 08:46 PM · Yes, a moderate amount of moving is encouraged. Not motionless like a statue and not like a dancing start that we forget about concentrating on the Violin techniques. September 7, 2018 at 10:40 PM · As The Man didn't quite say, I can't dance, act, or sing, but can play the violin a little. September 7, 2018 at 10:42 PM · Aside from the essentials, I'm extremely still -- and I work very hard to make such stillness possible! In my practice routine, I begin work on each piece with lots of motion, and as I progress, I slowly tone down the movements and try to transfer their expressive value into my sound/phrasing. My view is basically that conscious movement distracts one from the phrasing, and unconscious movement is haphazard. - I move too much. That's me. I find it surprisingly hard to "cure" that. But when one messes up string crossings and other stuff because of it one ought to do something about it. "as needed for mechanics and maybe a bit more". In my viewing of professional players, I sometimes feel as if they're "hamming it up". But if the energy gets intense, I think it's perfectly natural to move. In one video I watched of Janine Jansen playing the Tchiakovsky Violin Concerto, she was quite athletic in the final movement. September 7, 2018 at 11:56 PM · "Moderate amount" -- I'm a walking player and practicer. Other than this, not nearly as much movement as JB has. September 8, 2018 at 12:57 AM · You mentioned "learning to move" which brought up something I wasn't going to mention before, but this provides me a foil. I followed some links to a evidently high level soloist recently featured on this blog, and, to tell the truth, their movement seemed affected, sort of like sweeping the violin around like some machine gun. It was more like "this is how an emoting violinist is supposed to move, and I've watched some videos of others doing this, so I'm going to really do this". It decidedly looked "studied", not sincere, and it detracted from the performance. For me, most of my movement is tapping my foot, which is probably verboten in classical. September 8, 2018 at 01:20 AM · I neglected to put "I dance and twirl around ice castles" as well....I mean it looks kind of fun but I'd probably fall, snap my bow, etc. September 8, 2018 at 09:04 AM · I've noticed that Janine Jansen and Akiko Suwanai move a lot and their movement traces are almost the same. This leads me to guess if they are both taught by the same teacher. BTW, I enjoy their movements during their performance, because they pass the emotional messages so strongly. September 8, 2018 at 02:09 PM · Janine Jansen and Akiko Suwanai do not share any teachers or even really a common school of playing in their training. September 8, 2018 at 02:40 PM · I naturally move a lot in ways which have nothing to do with musical expression, and forget that I am doing it a lot of the time. I tend to walk around the room while practicing. I have noticed that I sway usually when either nervous, or when the music is exceptionally loud. I will bounce my legs when sitting down ( usually in an orchestral setting ) if I get really bored. Teachers and chamber music coaches spent some time trying to teach me how to move the “right” way. One quartet I was in actually complained to the coach about my fidgeting ( amongst other things ). Looking back at old videos of my playing and seeing all of this stuff happen knowing that there was an audience is simply the worst. September 8, 2018 at 04:30 PM · I went with "very still" though really I think of myself as "fairly" still. Really it depends on the music as I will end up moving for emphasis up to a moderate amount sometimes. September 9, 2018 at 08:58 AM · Thank you for your information, Bill Palmer! But if you watch their (Janine Jansen and Akiko Suwanai) videos, you will certainly find the similarity of their movements on stage. BTW, I will feel deeply touched by their music while other violinists will only have my awe when I watch. September 9, 2018 at 07:19 PM · It depends on your audience and the piece. Obviously Brahms and Rachmaninov are different from Paganini or the country piece “The Orange Blossom Special.” Natalie McMaster dances while she plays jigs and reels. I have Stern playing Tchaikovsky’s concerto in which he hardly moved. You have to know your piece and your audience. September 9, 2018 at 09:35 PM · I move just as much as Joshua Bell and always have since I was a child. It is a natural thing for me and it actually helps me get picked for projects, theater, solos etc. over my competitors often... (I say this because I am always told I play with "heart" or that, they like my "sway"). I don't pay attention to it really since it is my natural normal, but sometimes when I watch recordings of myself I actually think I look like a goof! September 9, 2018 at 11:16 PM · This is a huge pet peeve for me personally . I can’t stand excessive movement .it does absolutely nothing for the music and only distracts the listener from what is important . The sound of the violin not the sound of your feet and heavy breathing and foaming at the mouth. The old Masters knew that all of the drama came from the sound and what the right hand was doing . September 10, 2018 at 01:06 AM · I find myself swaying with scales. I didn't use to. I also didn't use to move in orchestra but that first movement in Tsar Borris has me moving. Have to get into it - not often you get asked for more forte on viola! September 10, 2018 at 02:34 AM · When I played in orchestra I was careful to keep excess (or even not excess) motion to a minimum in respect for the rest of the section who might need to see past me, round me, etc. to see the section leader or conductor - and so not to be distracting or blocking. I don't believe that I move a lot when practicing or playing for a teacher, however, when doing bluegrass gospel jam performances, I do walk around, but still try not be distracting to others, but do feel greater freedom to move within the context while playing - which includes turning to face the player leading or taking the break, walking to or from the mic, or a player I will be taking a break with, or in some cases minor stomping (only word I can think of - more that tapping) my foot with the music. Really varies - depending on situation. September 10, 2018 at 04:55 AM · Every movement, no matter how subtle, has an effect on sound and, collectively, on tone. That has always been my experience, and that has been expressly emphasized by top violin teachers like Henryk Szerying and his pupil Maurice Hasson. Generally, I strive to follow David F. Oistrakh as my ideal. September 10, 2018 at 07:54 AM · I usually concentrate on the music.........does anything else really matter? Say, how many different ways have you heard the opening two notes of opus 131? How does this affect your music? How does it affect you? What are you doing about it? Forget these petty rests, moving about, get down to the music. Has anyone heard a reall great string quartet lately, tell me about it. Sorry if I am out of order. Losing 2 Ovreviews in the Week end Vote re Movement when playing & practising the violin, I'll probably include this vast and vital subject in a forthcoming Book based on both my Violin Mentor's, Jascha Heifetz & Nathan Milstein, plus one's own personal public concert artist preparation and performance including recording for the two are quite different, indeed! September 11, 2018 at 05:34 PM · If a student is moving too much, or if their motions are mechanically contrary to the bowing they are trying to do, I show them the old-school, leaning on the left heel stance. It is more stable. I try not to move when doing off-the-string stuff. It's harder to hit a moving target! A concertmaster needs to move more than a section player. They are a type of assistant conductor, and their bow is the baton that really synchronizes the string section. September 11, 2018 at 07:30 PM · My fellow violists often ask me to make a big nod when it's time to come in. (I count better than they do and they know it.) Other than that I don't think I move that much; I try not to tap my toe in orchestra, although our quartet sometimes asks for it when the counting gets tricky. When playing bluegrass fiddle I move more. Michael, you're obviously in a different group when you say "...not often you get asked for more forte on viola!" Our section struggles to be heard - it's a rule of thumb that we play all dynamics one higher than marked. September 11, 2018 at 09:54 PM · I used to move very little, but over the last several years I've started to move a lot more. First, I became principal violist in a community orchestra and started to make larger movements to signal my section, and then later on I was encouraged to experiment with using body and leg movement to assist my arms with bowing, shifting, and vibrato. September 12, 2018 at 03:11 AM · The amount of movement is important, but the choices were not nearly enough. For instance, I think what is crucial is that the movement serves the music, like the archer’s bow serves the arrow in order to attain the target. And finally, if you are moving but it appears you’re moving to a different rhythm pattern, that’s a problem!